You are free to keep things simple and relaxed. We see an oversized white shirt tucked in a pair of blue skinny jeans. Update this look by adding cool 90 style sunglasses and a statement belt. Street walk for young ladies. Get inspired by this fantastic summer look. We see a young lady wearing a red bra top teamed with denim shorts. The overall style is super trendy and worth giving it a try. Would you dare to try this look? We see a sultry tulle ruffled sheer blouse with front-tie detail. It’s paired with blue skinny jeans and velour fuchsia clutch bag. Simple, ladylike and chic style. The trench has always been a staple but, this year, it gained fashionability. That’s thanks to off-kilter styling at Céline and Vetements, and celebrity wearers. Worn by Kate Middleton, Audrey Hepburn, and Marlene Dietrich, the trench coat has long been a perennial clothing item filed with jeans and the LBD as must-have items for every woman to own. 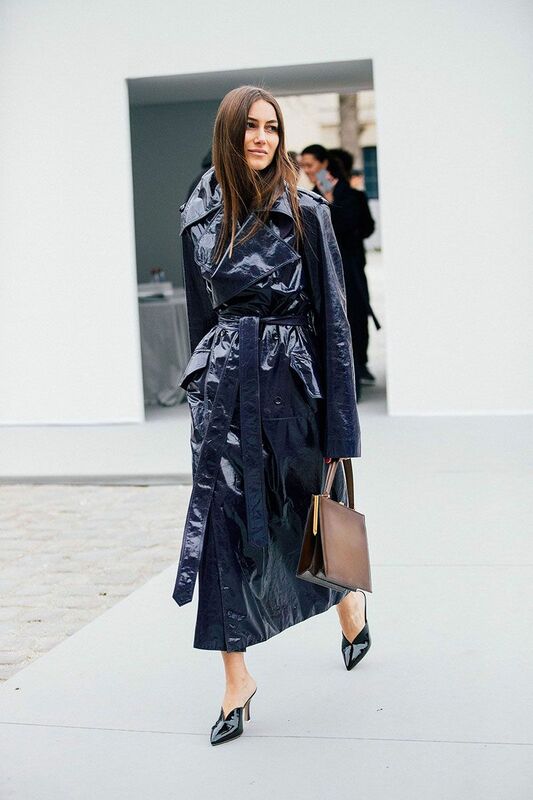 In 2018, we see a trench coat is back, but it’s not classic anymore, it’s cool, modern and bold. This time I want to show you my favorite trench coats to try this Autumn and find something special and unique. Let’s get one thing straight: We’ll never retire our trusty blue and black jeans. However, we can’t ignore the fact that summer is officially on the horizon, and dark, heavy denim isn’t exactly the thing we’ll reach for every day. At the same time, we’re not exactly willing to shelve our jeans for the next three months. A solution we can all get behind? White jeans! Sleek, chic, and totally stylish, white denim has long been a crisp summer staple and, in recent months, a favorite among street style stars, fashion bloggers, and editors all of whom have been spotted rocking white jeans all year long. White jeans are the essential piece, as almost every woman has them in her closet. If you lack ideas on how to work the white denim this summer, I bring you fabulous looks completed with these cute bottoms. Along with “how to do your taxes” and “how to negotiate a raise,” “how to dress for work in the summer” is one of those life skills that really should have been taught in college. Navigating office politics; impressing your boss; shattering the glass ceiling—work is hard enough without worrying about whether you’re appropriately dressed. The following post is all about street style guide ideas to Summer work attire for women who want to look at their best, from early mornings to late nights. 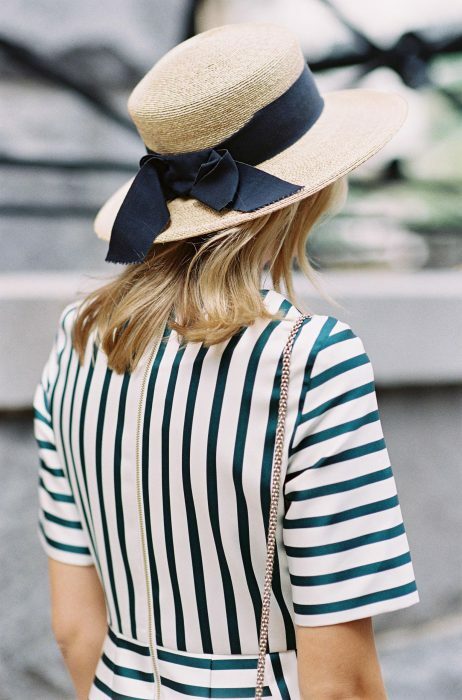 If there is an accessory that you can wear and instantly turn your outfit into a refreshing looking outfit, that accessory has to be the straw hat. In this article I will try my best showing you cool ways to style a straw hat for hot 2018 days. For those of you that don’t like to do a lot of trial and error with your outfit, it would be a little bit hard for you to imagine that straw hats are not reserved for super models and movie stars only. Yes, you can actually integrate a straw hat into your everyday outfit. To better demonstrate that, I have collected some of the best straw hat outfit ideas. I am sure you are going to see awesome styles that will inspire you to try this cool accessory in nearest future. Whether you take your style cues from the very latest Fashion Week street style or black and white movies, the appeal of the classic straw hat is undeniable. And because we could all use a little style inspiration for how to wear this essential summer accessory, I’ve got easy to copy ideas how to wear this accessory in real life. Those of you who want to make a statement next year, then you definitely need a yellow coat. 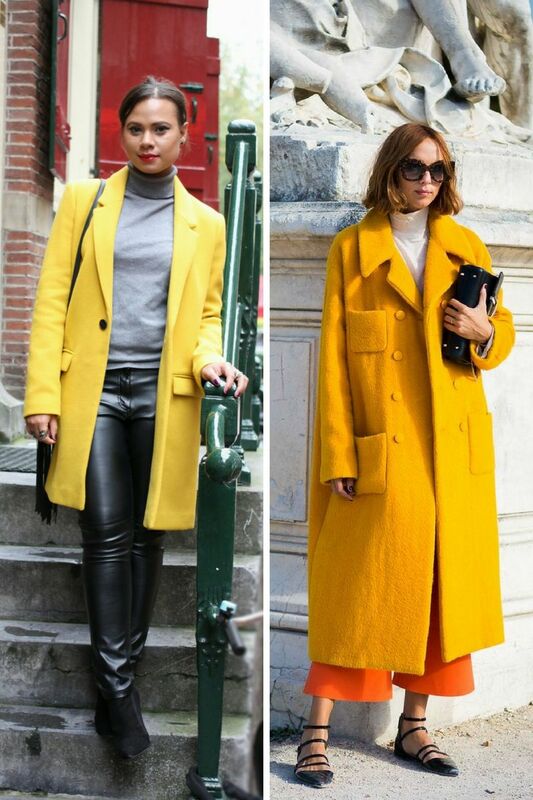 In today’s blog post I am about to show you great ideas how to make a real statement with a yellow coat this year. Most women tend to choose dark colored coats during cold Winter times, but my suggestion is to brighten up your personality and make a real breakthrough with some bright shade. In other words saying, how about wearing yellow coats? This time we are going to see best outfit ideas you all can try by wearing white turtlenecks. Sure, this beautiful garment comes in different colors and styles, but you can never have enough of them. 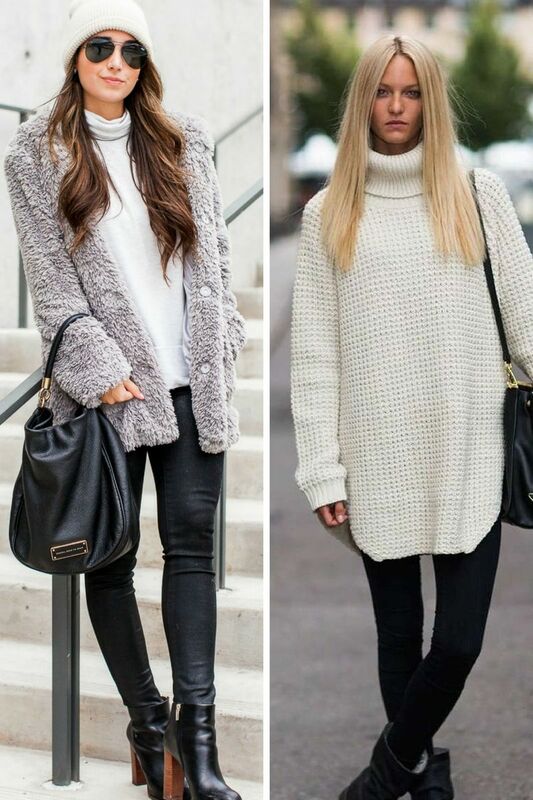 A white turtleneck is the same as black one, it’s versatile, gives you a vibrant look, makes you stand out from the crowd, underlines your individuality and you can easily make it a part of any look. Anyway, I am here to give you some tips and ideas on how to style it the right way.